Ready to pick up an ultra portable device that offers you a wide range of features and access to the online world? With a high quality tablet in hand, you can ditch the bulkier, more expensive laptops but still get a great mobile computing experience. After hours of extensive research, we’ve rounded up the 5 best tablets under $300 currently available for any type of user. 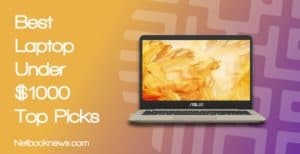 Whether you want Android, iOS, or even a 2-in-1 Windows device that can be used as a small laptop, we’ve got you covered with 5 excellent picks. Ready to find your perfect tablet while staying on budget? Let’s get started reviewing the top contenders! 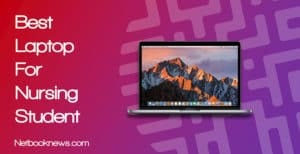 Jan 14th, 2019 by Ty Arthur: With this latest update, we’ve picked five entirely new picks to cover every possible size, weight, OS, and tablet design. Whether you want a 2-in-1 Windows device, an Android tablet for gaming, or an Apple iPad with a retina display, we’ve got you covered with the 5 top picks under $300. Want the best of the best when it comes to high end Android devices? 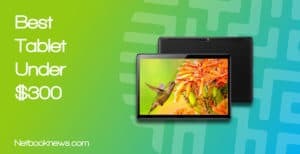 If you value display quality and fast speeds over all other considerations, then the CHUWI Hi9 Air should easily be your top pick for the best Android tablet under $300. Tablets are an excellent choice for portability, but they often cut corners on display quality in order to keep prices down. That is very much not the case with this CHUWI model, which puts a premium on the screen resolution. This unit’s 2.5k display is in on par with the lauded retina screens you normally only find in much more expensive Apple products. It isn’t all flash and no substance either — the hardware beneath that screen is extremely high end. With 4GB of RAM, the latest version of Android, and a killer CPU, there aren’t any apps this device won’t be able to run smoothly. Whether you love gaming on the Android platform or just want consistently fast speeds for home or business apps, you can’t go wrong here. Although the Hi9 Air works great as a standalone tablet, it actually has more versatility than that and can be useful in other applications. Specifically, it features a slot for a SIM card so it can be used with your mobile carrier and is LTE enabled. You may want to note one potential downside though brought on by the budget pricing. Despite being billed as a gaming tablet, there’s no HDMI port here, so you can’t connect this unit easily to an external display. 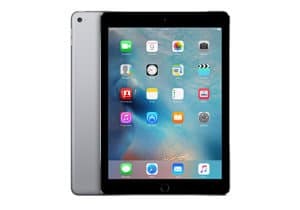 Looking to grab a portable device in tablet size but not quite willing to give up your favorite operating system and switch to Android? For the Windows fanatics, Dell’s Inspiron is easily the best Windows tablet at this sub-$300 price range. 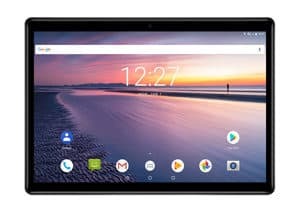 The line between tablet and laptop has started to blur, and there are plenty of devices at this price range that could drop into either category. 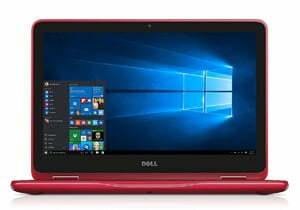 Among the best of those is the Dell Inspiron 11 3000, which is within the tablet sizing but has a full version of Windows 10 installed. When going with a Windows device, you always want to shoot for at least 4GB of RAM. That’s what you get here, putting the Inspiron 1100 a cut above cheaper Windows tablets. With this combo of CPU + RAM, any of your average Windows applications will run much more smoothly and with less lag. As with all Windows tablets, your main bottleneck will be in physical storage capacity. The operating system takes up a whole lot of that 32GB of space, so make sure to buy an extra SD card! To get an entry level laptop experience in a $250 tablet package, they do have to cut a few corners as well. Most notably, the screen resolution isn’t full HD, so you can’t expect 1080p video streaming, unfortunately. That issue aside, if you want to stick to a budget but still get Windows 10 in a tablet, this is a great low cost option. Prefer a more versatile device that can be used in different modes? This should be your top pick for the best 2 in 1 tablet to be found for under $300 online. OYYU’s offering in our lineup of quality budget portable devices really pushes the boundaries of what can be considered a 2 in 1 tablet vs. a full sized laptop. You get the power of an entry level Windows laptop, but in a much smaller, more portable size than normal. At 3 pounds this unit is much heavier than other tablets, but still significantly lighter than your typical laptop. What really seals the deal is in the 2 in 1 design, which lets you decide how you want to use this device. Want to hold it like a flat tablet? No problem. Prefer to prop up in tent mode for video viewing or flip around at a 90 degree angle to hold on your lap? Both modes are simple to activate. While some of the specs are similar to our other Windows pick above, there’s one big difference to keep in mind here. This model has a much higher resolution display than the Dell Inspiron model listed above for the same overall price. That makes it a great pick for streaming HD movies on your favorite video service, or even for light gaming. 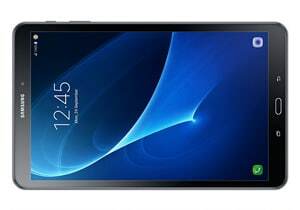 Like the style of the Samsung Galaxy line but want to stick with a 10 inch device? The latest version of the Tab A is one of the best 10” tablets under $300, and it has some killer extra features you may not expect. We’ve talked up plenty of Samsung products in our other tablet roundups, and now it’s time to look at the best model under $300. This version of the Tab A doesn’t disappoint, with an eight core CPU that will easily handle any Android apps you care to install. The 10.5” inch version of the Tab A also features a solid rubber back (rather than glass or plastic) for more durability. The battery power is sort of unbelievable for a tablet of this size, giving you all day battery on a single charge. If you prefer using your tablet without headphones, this is an excellent model to keep in mind in terms of audio quality. Sadly, the Tab A doesn’t include the Samsung pen like the more expensive S models. That being said, if you don’t care about using a stylus, then going with this more budget-friendly A model is the better choice. Love sleek, comfortable tablet designs, high end displays, and the Apple style? If you don’t mind going with a refurbished unit, the iPad is easily the best overall tablet under $300 right now. Most of our devices so far have focused on Android or Windows, but you can in fact go with iOS instead and still stay under $300. There’s a catch though — you have to be willing to try a refurbished unit. These iPads have been restored to factory specs, cleaned, and repaired so they work like new, even though they’ve been previously used. In exchange for going refurbished, you get one of the most comfortable tablet designs available right now. The sleek 9 inch display hits an excellent mid-way point between larger tablets that are harder to hold and smaller tablets that don’t weigh as much. Of course, the retina quality display is about as high end as you can find in a tablet at this price range as well. If you love video quality and want to video chat or take plenty of snapshots, you also get an extremely high end, 8 mega pixel camera. Within this overall price range, you can expect much faster app performance and fewer stutters so long as you know what specs to look out for. By the time you hit the $250 – $300 range, the hardware of a tablet starts to resemble a full laptop. If you don’t carefully compare components though, you can still end up with a slower model. For the best mobile experience, we recommend 4GB of RAM in any tablet at this price point. The only leeway there is if you get a faster processor in exchange for 3GB of RAM, like with certain Samsung models. Be on the lookout for faster CPUs as well, such as newer eight core processor models. 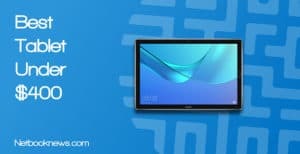 For many models in the same price range, the specs will be quite similar, so keep an eye out for extra bells and whistles that make one tablet more attractive that the competition. When you have your basic specs and budget down, it becomes time to consider all those additional features that will determine which specific model is best for your needs. 2 in 1 designs to utilize the tablet as a full laptop or prop it up in tent mode for more comfortable video streaming. Since you will always be looking directly at the screen of your tablet and want to avoid eye strain, you shouldn’t skimp on the screen resolution! Tablets can come in a wide range of sizes and display quality, with large variances to be found even from the same manufacturer. 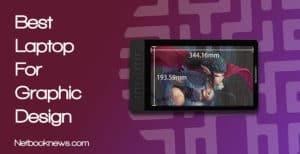 To get the best display quality for streaming videos or playing with Android apps or Windows programs, we strongly recommend going with a 1920 x 1080 resolution model. In some cases, you can double that and get full 2k displays at this price range if you look carefully. Generally, you shouldn’t be willing to drop down to 1366 pixels resolution unless you need a specific feature in exchange, like a Windows 2-in-1 model with more RAM. The handheld tablet experience is all about portability, and that includes getting decent battery life so you don’t have to plug in and constantly charge your device. Battery life can vary widely between devices based on their screen size & resolution, as well as other specs such as CPU and graphics chip. For the most useful tablet experience, we recommend you pick any device that lists an 8 – 10 hour life. If you don’t plan on being near an outlet often, you should bump that up to any device with a projected 12 – 14 hour life. Be sure to remember that those battery life estimates will drop sharply if you are using more memory-intensive apps than just streaming video or browsing the web, however. The main advantage to a tablet is in a small form factor and low weight, which make them more portable and comfortable to carry than a full laptop. With a variety of sizes, weights, and form factors, not all tablets are super comfortable to hold for extended periods. In most cases, we recommend stick to around 1 pound in weight for the most comfort. For that weight, you usually max out at about 10 inches on the display. There are reasons to pick a heavier tablet on occasion, however. 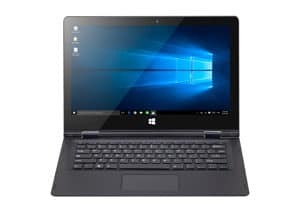 Remember that you will always end up with a heavier model when picking a 2-in-1 tablet with laptop convertibility, or anything with the Windows OS.